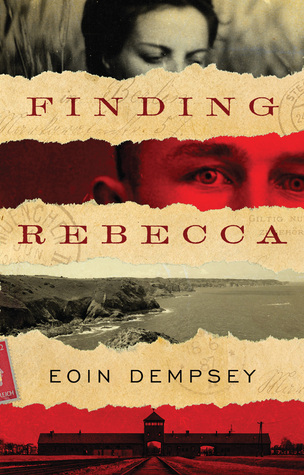 Christopher discovered Rebecca one day in 1924 when he was six years old. She had escaped from her abusive father and alcoholic mother. Christopher and his father and sister, newly arrived from Germany to the island of Jersey (an English colony off the coast of France), take her in without a moment’s hesitation. From then on, Christopher and Rebecca are inseparable. As a teenager, she runs away to England to again escape her family and Christopher believes he has lost her. She eventually comes back with a fiancee, but Rebecca falls in love with Christopher despite this. Things were going well for the two lovers until the Nazis came into power in Germany and suddenly Rebecca’s Jewish ancestry gets her and her family shipped to labor camps in 1943. Christopher decides to try to rescue her and gets himself into the SS as an accountant at Auschwitz, hoping to be able to secure her release. Will he be able to rescue her and be reunited? Will his cover be blown at the hands of the Nazis? 3 stars. I found this book on Netgalley and thought it had an intriguing story. I am always fascinated by books about the Holocaust, and this one was different because of its original setting on the Isle of Jersey and as it is taken from the viewpoint of someone working for the Nazis. The author definitely did a lot of research for this volume. It was a little sad to see how easily the British gave up the island to the Germans. The book kind of dragged in the middle and then the subject matter kind of got to me. Whenever I have gone to the National Holocaust Museum in DC, the one thing that always makes me upset is the piles of shoes and suitcases that the Nazis collected and sorted after the prisoners exited the cattle cars that took them to the concentration camps. I guess I’m always a little out of sorts reading about a culture who willing participated in genocide as though it was a commonplace everyday activity. The detail in which the author describes how the Nazis methodically got rid of a person’s belongings, separated the people out (to see which would live and which would die), and then heartlessly killed them. And continued to do it day after day because it was their job. Another reason the book dragged, for me at least, was how long it took the story to resolve itself and the ending wasn’t that great.